This product is CertiPUR certified. That means it has no phthalates, no heavy metals, and uses the safest flame retardants available. No formaldehyde and low VOC, so you can rest assured. With bunk beds and lofts, it is commonly suggested that you should not exceed 9 Inches for safety reasons. The guard rails need to protrude above the mattress, so sometimes height has to be a primary consideration. Height definitely matters, but so does price; thanks to its affordability, it’s a very practical choice if you need to furnish multiple spaces. We know that when choosing for these types of spaces, it can be a struggle; you need it to be inexpensive, but you don’t want it to be cheaply made (or uncomfortable). The Madira is nice because it is suitable in its basic form, but also comes in an alternate style that can include euro box top style to increase the comfort expectation (reminder: euro top will raise the height). Mattress life spans vary, and depending on the need, sometimes it can be a practical choice to find the best mix of value and comfort, knowing that it will likely be replaced within a few years. Another great feature, which is becoming increasing rare…The basic Madira mattress can ordered as a TWO-sided mattress. You’ll need to specify if you want that feature, and there is a small up-charge, but being TWO-sided extends the life of any mattress since you can distribute the use between the two side. Flip-able mattresses are very traditional, yet seem to be hard to find due to all of the pillow top styles that dominate the sales floors. 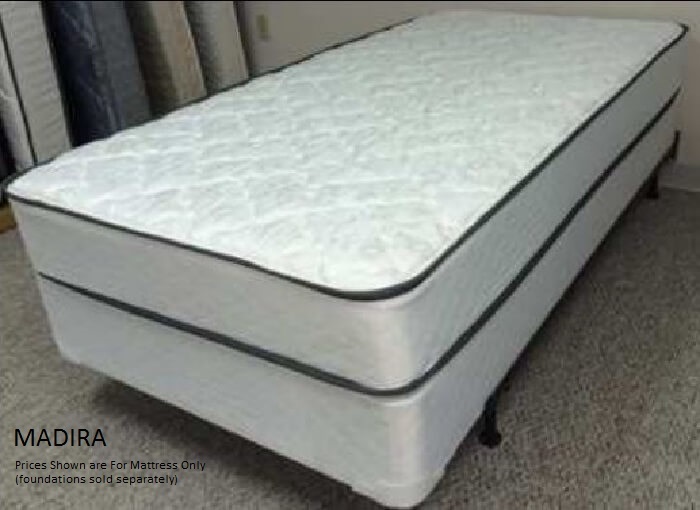 Several terms are used to describe the support and comfort level of a mattress. 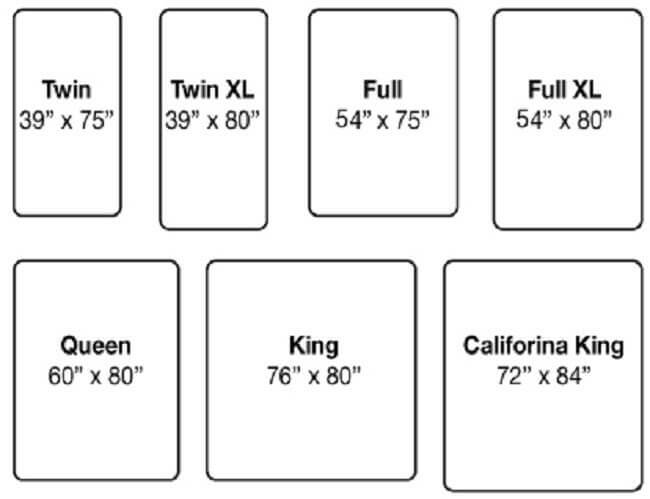 Although these terms can very slightly, they are used universally to communicate what you desire or need in a mattress. Summit Top: Gusseted, knife edge construction and has a distinctive separation between the top and the mattress base. In addition to Innerspring Mattresses, we specialize in Healthy, Natural and Organic Bedding. Our selection ranges from high-end name brand mattresses to locally made chemical free varieties. Call for more details and options.